Short-term, faculty-led study abroad opportunities are offered for two to five weeks in the summer as well as during the academic year. 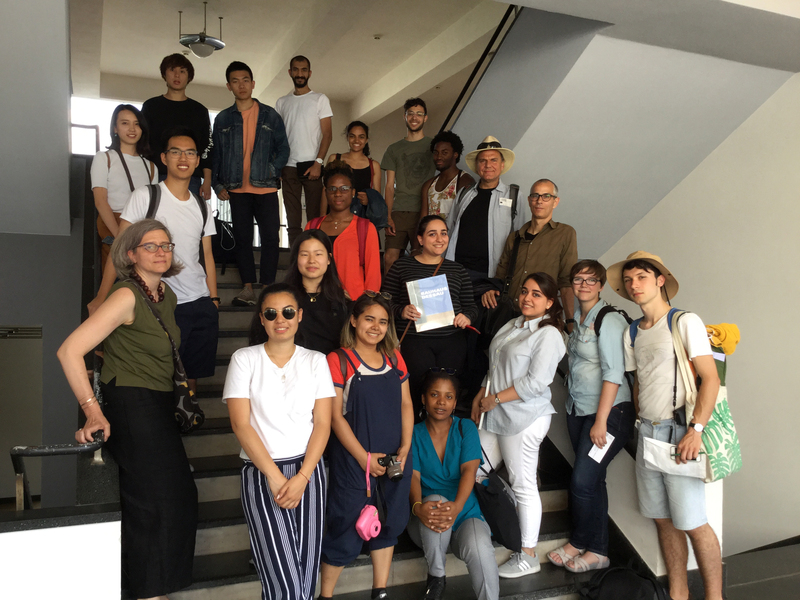 A five-week summer study-abroad program led by architecture Associate Professor Ulrike Passe in collaboration with faculty from Berlin, Germany, and other US architecture programs. The program explores the possibilities of designing an urban architectural environment for a low-carbon lifestyle and includes visits to energy-efficient buildings and professional design offices. It is open primarily to architecture majors, but students from other majors will be considered. Associate Professors of Graphic Design Alex Braidwood and Paul Bruski will lead a three-week study tour of multiple European countries in summer 2019. While this seminar course is primarily a study of graphic design, it is also a study of visual culture, as observed in the art, architecture, and design of each city and site. Through a range of design studio visits and museums, students will be exposed to the variations in philosophy and methods of European design firms. In addition to the office visits, students will study art and design in museums and historical sites and conduct site-specific research, as well as observe and document visual culture in a range of public spaces. Interested in a short-term study abroad experience over spring break? Participants in the two-credit CRP 391: Field Trip to Vienna will travel to Vienna, Austria, March 16-23, 2019. 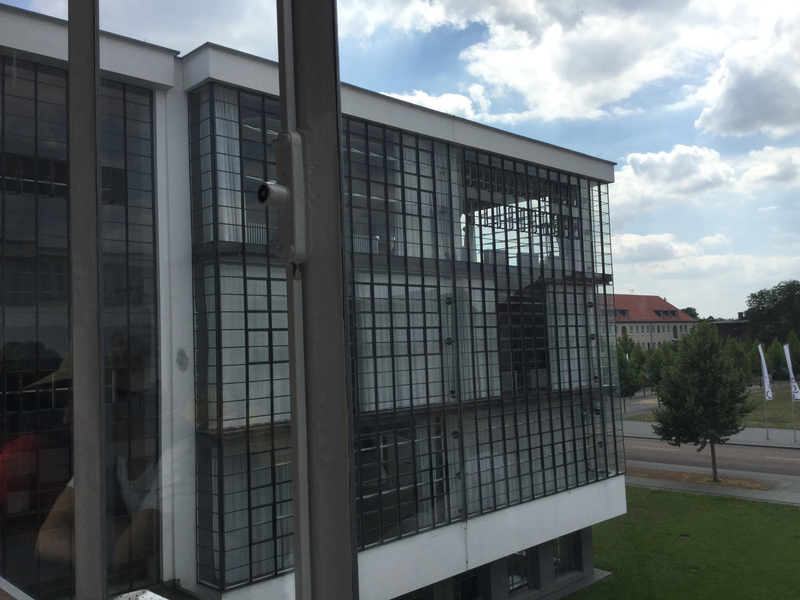 The program includes visits to the Smart City Vienna Initiative, Aspern (an energy-efficient and sustainable urban development) and a mixed-reality lab at Vienna University of Technology as well as a placemaking and emotions experiment with students from the university’s International Master in Cartography program. This field trip experience can be combined with CRP 453X: Smart Cities (3 credits) for a total of 5 credits. The proposed course, one section of Arch 401, will start with a study of the environmental, physical and social conditions in Kigali and focus on a neighborhood for architectural intervention. The studio will conclude with a two-week trip to Kigali, overlapping with thanksgiving break, in which students will conduct a design workshop with students at the university of Rwanda and visit important architectural sites to study contemporary sustainable design in the region. Assistant Professor Alex Braidwood and Associate Professor Paul Bruski will lead a three-week study tour of multiple European countries in summer 2018. Primarily a study of graphic design, this seminar also is a study of visual culture as observed in the art, architecture and design of each city and site. In addition to design studio visits, participants will study art and design at museums and historical sites and conduct site-specific research as well as observe and document visual culture in a range of public spaces. Led by art and visual culture Professor Chris Martin, participants will be introduced to the unique culture and history of Ghana, including the various art and design traditions particular to different tribal groups as well as their traditional food, dance and governmental systems and the history of the slave trade. This two-week summer program will take place in May 2018. Part of the ISU/US Department of State Cultural Heritage Documentation Project, offering all majors the chance to spend 10 days in Stockholm over spring break in March working on a project at the 1950s-era US Embassy, learning about its design, its role in the history of US diplomacy, its place in the Swedish capital’s urban fabric and its future as the primary physical link between the governments of the US and Sweden. The program will be led by Ted Grevstad-Nordbrock, assistant professor of community and regional planning. Space is limited to 15 students, who will be selected by faculty and the Study Abroad Center staff, so apply early! Seniors and graduate students in interior design are invited to participate in the annual workshop for students interested in the art and future of international design practice. This week-long study abroad program in Paris, France, will be led by Professor Lee Cagley Jan. 16-22, 2018. Participants will tour Maison et Objet, the largest international furnishings exposition in the world, meet with interior design professionals and visit the Palace of Versailles and Opera Garnier.